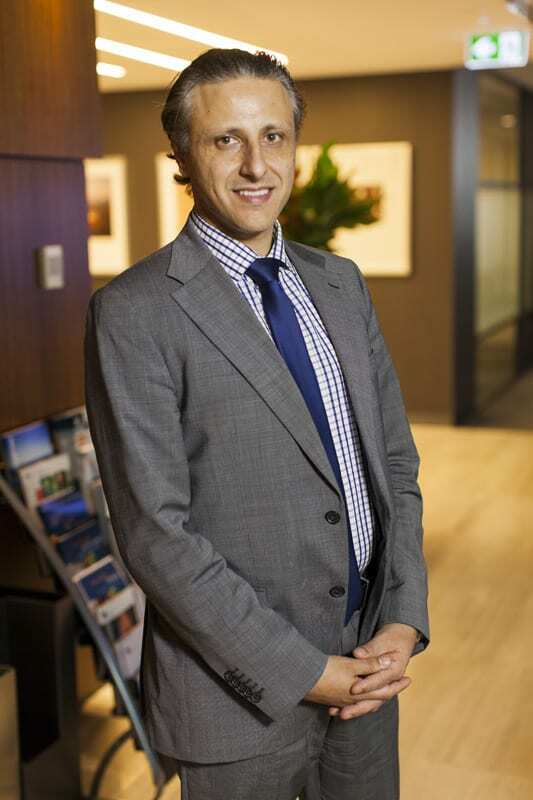 Observant readers might notice that the initials for Checkpoint Finance Group are GFC in reverse, and backing himself out of the Global Financial Crisis has been a massive learning experience for founder Simon Arraj. How he did it and what he learned in rebuilding his business has presented many valuable lessons shared here for us all. Imagine being an eligible bachelor and director of your own business, leading a lifestyle to suit; owning one of the most expensive cars on the market and pursuing a passion for driving fast cars on the track. Sounds ideal doesn’t it? Add a martini – shaken, not stirred – and it could be James Bond in real life, minus the spy factor. Now let’s add the year 2008 to the scenario: still sound great? 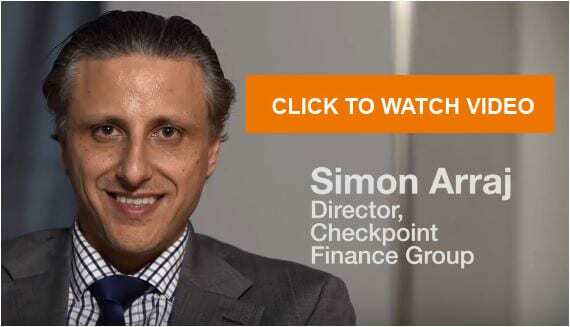 It’s the story Simon Arraj, Director of Checkpoint Finance Group, tells today with a wry smile because, with the value of hindsight, he realises it was a major turning point in his life. Simon didn’t only lose the car in 2008, he lost two and a half million dollars of his own money and owed as much again to investors. The GFC turned his idyllic life into a nightmare and he was too proud to tell his parents the full extent of his problems. Obviously Simon decided to swim, but it’s how he decided to swim that’s makes the Simon Arraj story unique. When the banks became aggressive during the GFC, Simon’s company, which was the second mortgagee on developments, was squeezed, and it was those lessons that taught Simon how to swim. As a result of the credit squeeze, “not only did we lose a considerable amount of money, we were forced to take over some projects. It was through that, that we were pushed into development. For the next two years Simon worked for nothing as he acquired a better understanding of the development business in order to pay back those investors who had supported him. The second story Simon tells of that GFC era isn’t as ‘funny’ as the first, but far more satisfying. It’s the story of the re-birth of his company. He recalls that “in 2009 we were second mortgagee on a couple of transactions. The first mortgagee was a major bank and they became very impatient, deciding it was easier and more convenient to appoint receivers as opposed to work through the deal commercially. A similar story arose again in 2012 where a club had appointed an administrator and a creditor-appointed receiver was also involved. On the surface, that was untidy and complicated. From the ashes of the GFC, Checkpoint Finance Group has grown into a successful property development business which also finances developments for other property developers. The reality, as Simon sees it, is that “my competitors are bankers and other brokers. Bankers work for banks, they’re numbers people and they work on feasibilities and it’s very transactional. Brokers are similar, it’s all transactional. There’s another area in which Simon has done things differently which he believes has a big impact on clients. It’s subtle but appears to work well for him. It’s the transformation of his personal image to what could be labelled the ‘blue collar’ broker. His idyllic ‘James Bond’ lifestyle has returned – however, Simon’s smarter now and is no longer an eligible bachelor. These days the martini is stirred. The cars have also returned: there’s a new AMG C63 in the garage for him and a GLE 450 Coupe for her, and there are also track days which allow Simon to drive around the best racetracks in the country. Cars are his passion, “although my wife says it’s an obsession, and that’s probably true.” Whether he’s on the racetrack or driving to work, Simon has had a love of cars which began when he was a boy. A neighbour was always working on cars in his garage, and the sound of them and seeing them driven down the street fascinated a young and impressionable Simon Arraj so much that he wanted to race them. At the time, though, “my parents wouldn’t hear of it. They’d worked hard to give my brothers and me a good education, and that included going to university. So cars had to wait until I could afford them. There’s no chance of asking Dad again for petrol money. Those were tough lessons during the GFC and they’re not going to waste. 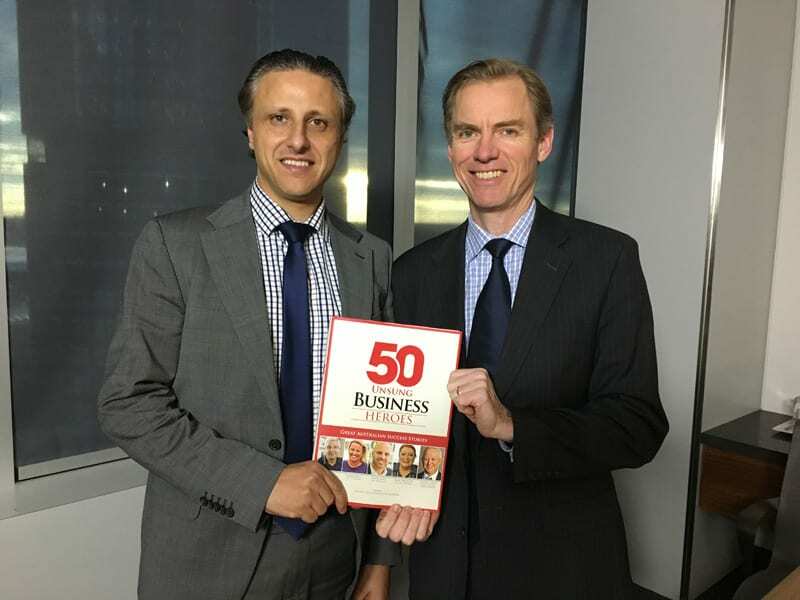 Simon is of the view that “the Sydney property market is going through some significant changes. We’ve come off the last three years which I would describe as a perfect storm. 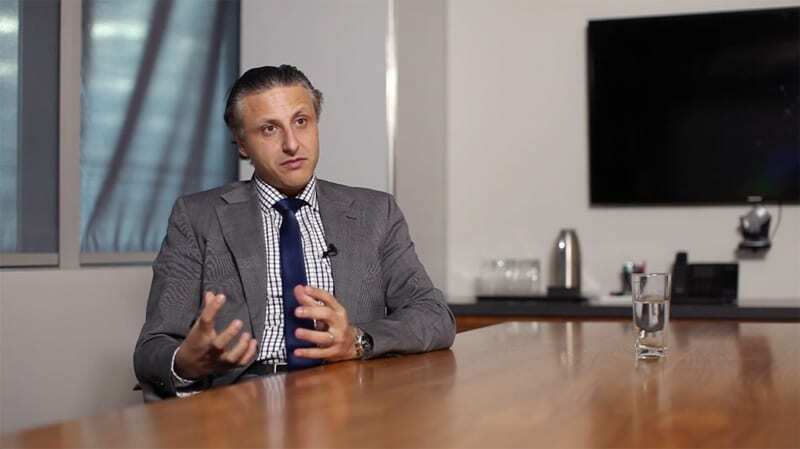 “We’ve had a relaxation in foreign investment laws which has allowed significant capital inflows from offshore. Then we had, and still have, a period of low interest rates, which is always a stimulant for the property market. We had relaxation of legislation around self-managed super funds allowing people to get into their funds to buy investment properties, and changes in first home owners’ initiatives. Simon is wary of calling it another GFC, but does believe there is a chance the market will correct, and in some areas more than others. He doesn’t believe it’s time to be bullish, but does feel there are opportunities. Building his business twice made Simon Arraj realise how easily things could have gone the other way for him. It’s given him a different perspective on what success really means and the responsibility that comes with that success. So there’s a definite sense of gratitude for Simon and a desire to help those who haven’t been as fortunate. But, just like his business, Simon wants to do it properly and has found a mentor in the Sarraf Strata Management company. Simon recalls that he was invited to a charity function to raise funds for Camp Quality. He hadn’t had any previous dealings with Sarraf, and met the owner for the first time that night. He recalls that, “leading up to and on that evening they raised over eight hundred and fifty thousand dollars for Camp Quality. And, for the next five years that company is committing all the money they make from their S-109 certificates from new developments to Camp Quality. Really I had just two choices – sink or swim. Without that experience, without being thrown in the deep end, I wouldn’t be where I am now. Through change, opportunities always present themselves. Never lose sight of the vision you set out to achieve. I don’t make money by sitting in an office: the more time I’m in the office attached to the computer, the less profitable the business is. The most important thing is to be front of mind, out there networking and connecting or meeting with as many people as you can. As you build your business, get systems, processes and structures in place so you can facilitate the growth.